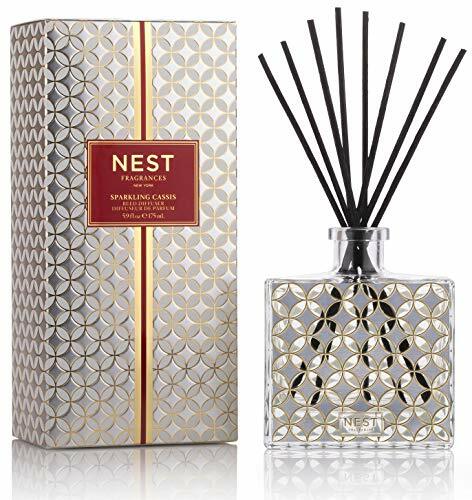 Reed Diffuser 175 mL/5.9 oz.. Fragrance Notes: the sparkling essence of pink champagne is infused with hints of crème de cassis, frosted cranberry, and wild fig. The glass vessel are designed to compliment the beauty of its surroundings; the classic shape and modern stripe etching will complement any décor.. The alcohol-free Formula releases fragrance slowly and evenly into the air for approximately 90 days. Made in the USA.